The Talking Box: Are YOU the Weakest Link? When The Weakest Link began airing in the United States, I was in the eleventh grade, high off of the greatness of Who Wants to be a Millionaire? which was still young. I didn't get hooked on the show, which ended up being a good thing, since it didn't have a very long life, LoL. I enjoyed the witty remarks that Anne Robinson made when she quizzed people about their choices for elimination and when she told the weakest links "goodbye." It wasn't the best premise in the world, but hey, it sure was amusing! Brief history: In 2000, Anne Robinson began hosting the hour-long game show on BBC... and she has been hosting it ever since. The show will end its run in 2012, when her contract ends. 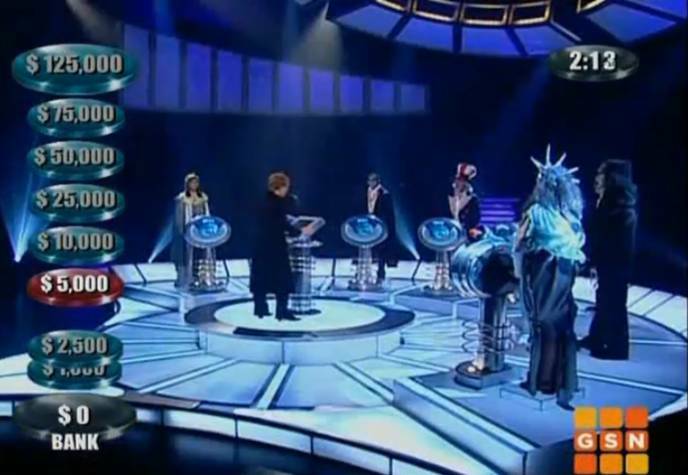 Australia was the first country to come up with their own rendition of the show, and around forty countries have tried their hand at an adaptation. In primetime, The Weakest Link ran from the Spring of 2001 until Summer 2002, with some episodes not appearing until reruns on PAX and GSN. Anne Robinson hosted the US primetime version. Afterward, the syndicated version only lasted two seasons, and the second was considered by some to be a complete failure. GSN has the rights to both US versions, but is currently airing neither. Notable changes to the way the game is played: Round 1 became 2:30 instead of 3 minutes in many areas, and it even worked its way down to just 1:45 in the US syndicated version. Round 2 in the US syndicated became 1:30, Round 3 was 1:15, and Round 4 was 1:00. 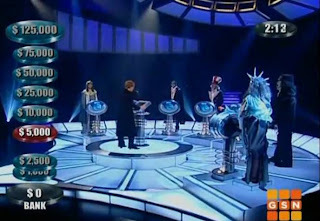 Syndication also had a male host, just six players, and only $100,000 could be won. Of course, it was also only half an hour instead of the entire hour. The final round only consisted of three questions each instead of five. It also The original British version started with nine players. Special contestants: They had a tournament of losers, a Star Trek Stars game, a Fear Factor champions special, games where all competitors had the same occupations, and I believe another few celebrity editions as well. It has been speculated that there were too many celebrity games in primetime, and that's why it failed... coincidentally, there were no celebrity games in the syndicated episodes. Favorite Rounds: This is another show where there are no easy ways to pick, as there aren't clearly separate types of rounds. But, I don't like watching the eliminations, and I usually get angry at the way people "bank," so I'm going to say that my favorite part of an episode is the very end - the fast firing questions. My take: Not really a show I'd want to compete on. I'm pretty wary of the type of show where you have to work together, then against one another. Plus, it would make me too scared and sad when people tried to eliminate me. And, while it would be nice to win $100,000, it always seemed like people should be winning more on this show... and it just didn't happen. What about you... would you want to be on The Weakest Link? Did you like Anne Robinson as a host? Do you wish that GSN would start showing it again? Or, were you one of the many who just got sick of hearing, "You ARE the weakest link. Goodbye!" ? ?